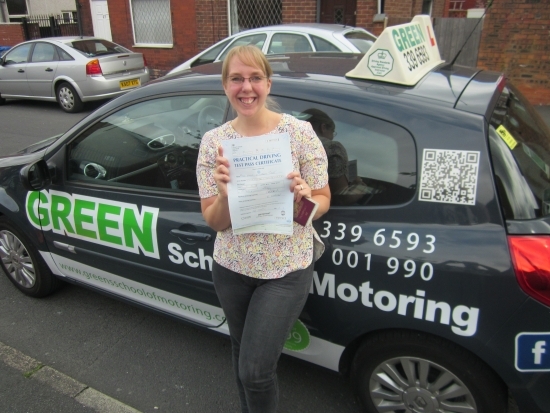 Well Done Emma, don´t forget I only live down the road so can see if you´re driving safely. I just wanted to say "Thank You" for you Patience and hard work with me over the last few months. I didn´t think it was possible but with the right amount of "telling off" and little grumbles you got me there. Believe it or not I even managed to park outside 106 without too much bother.